This is something we have needed for a long time. Yesterday, Rovio announced Rovio Accounts, a cloud-based save system that allows players to save their game data to the cloud, then access it through any device. For example, if you are far in Angry Birds Star Wars, but then buy a new device, you won’t have to start all over. Genius. Some of you may have noticed a new feature in your Rovio games called Rovio Account. Our fans have been asking for a way to play their game on different phones or tablets without losing their progress when changing the device. This is exactly what Rovio Account lets you do! Rovio Account is currently available in The Croods game globally, and in the classic Angry Birds game on iOS in Finland and Poland. 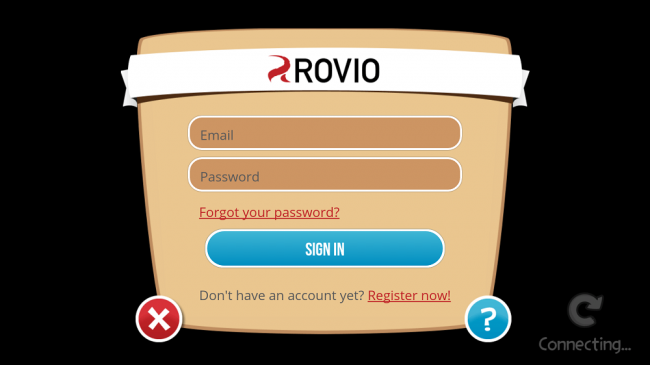 We will gradually introduce Rovio Account into more areas in the future and also add new features. It is still rolling out, slowly, but once it becomes available across all games on all platforms, it will definitely come in handy!